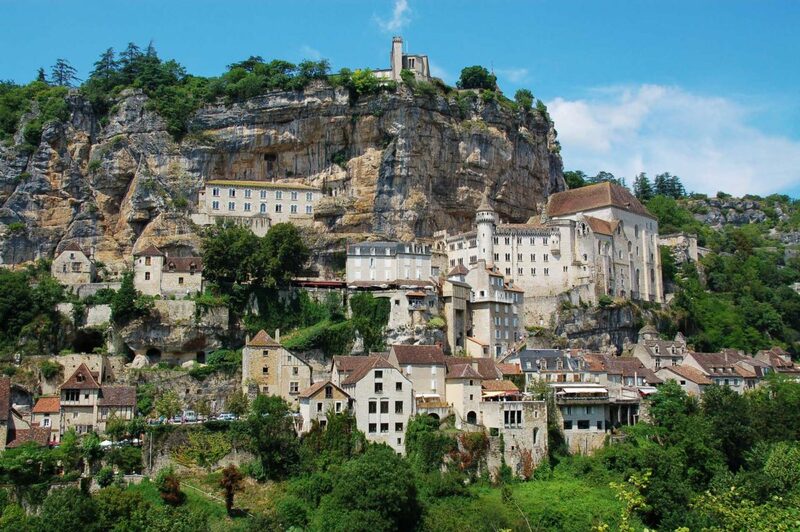 Built vertically, Rocamadour medieval village seems to be hanging in balance on the hedge of a cliff. Whether you are below in the valley or on the heights of the plateau, the view is spectacular. City of pilgrimage since the 12th century, its exits are guarded by massive fortified gates. The main street, winding and lined with medieval houses, used to be walked by pilgrims to reach the esplanade of sanctuaries where the statue of the Black Virgin of Our Lady of Rocamadour stands.